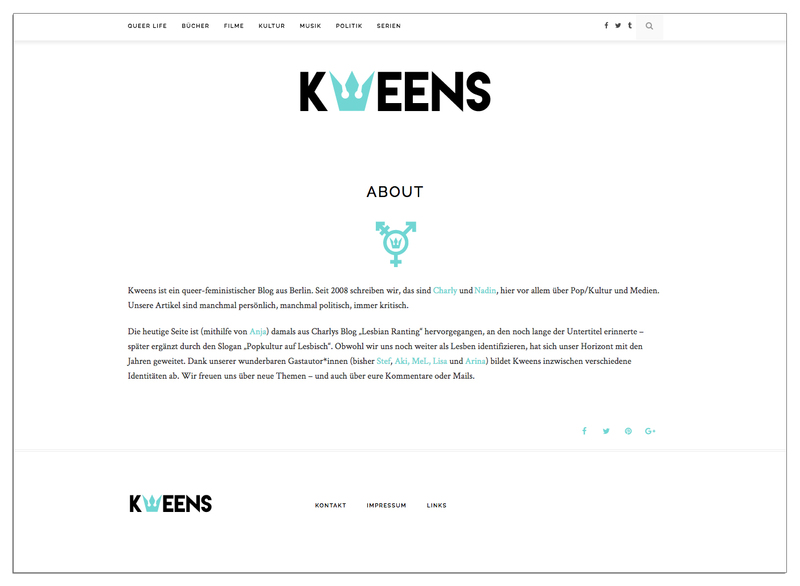 The German Blog KWEENS (www.kweens.de) about queer culture already existed for many years. They wanted to have a new look for their blog and a relaunch of there logo. 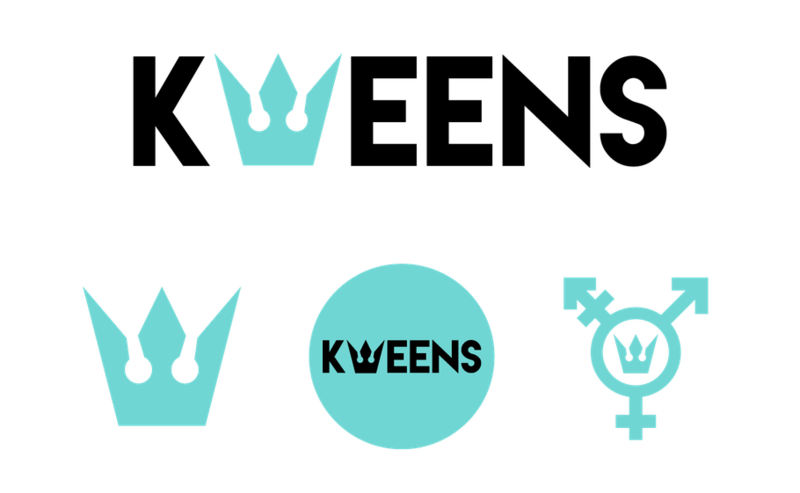 I created the new logo, the new web page as well as some business cards and stickers with queer icons. 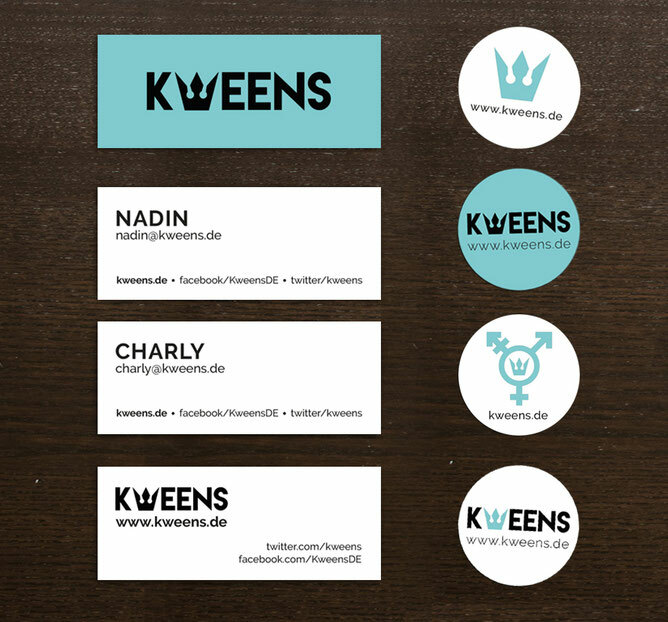 "Sieht cool aus und hat coolen Content: kweens.de"